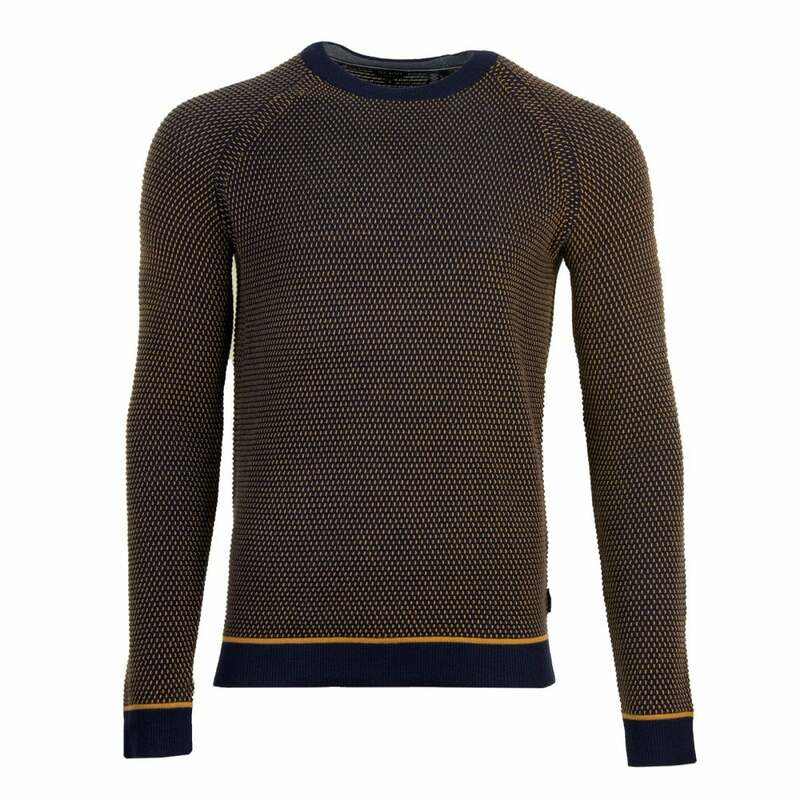 This Ted Baker Cancru Knit Sweater is a cotton and polyester blend and has a mustard and navy Ottoman design knit. It has long sleeves and a crew neck. The neck, cuffs and hem are ribbed in contrast plain navy with mustard stripe detail. Ted Baker branding appears on a fabric tab on the side seam.